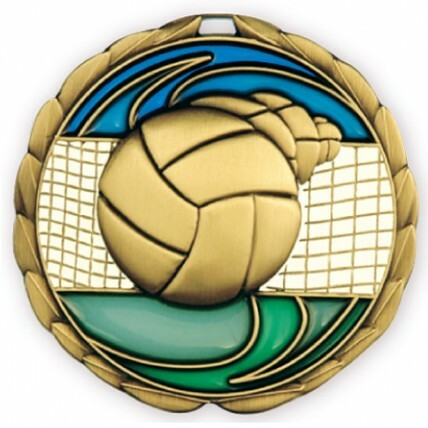 The Stained Glass Volleyball Medals are excellent symbols of achievement and sportsmanship in volleyball. These unique medals feature a gold ball on the white net with a blue and green background, giving a stained glass effect. 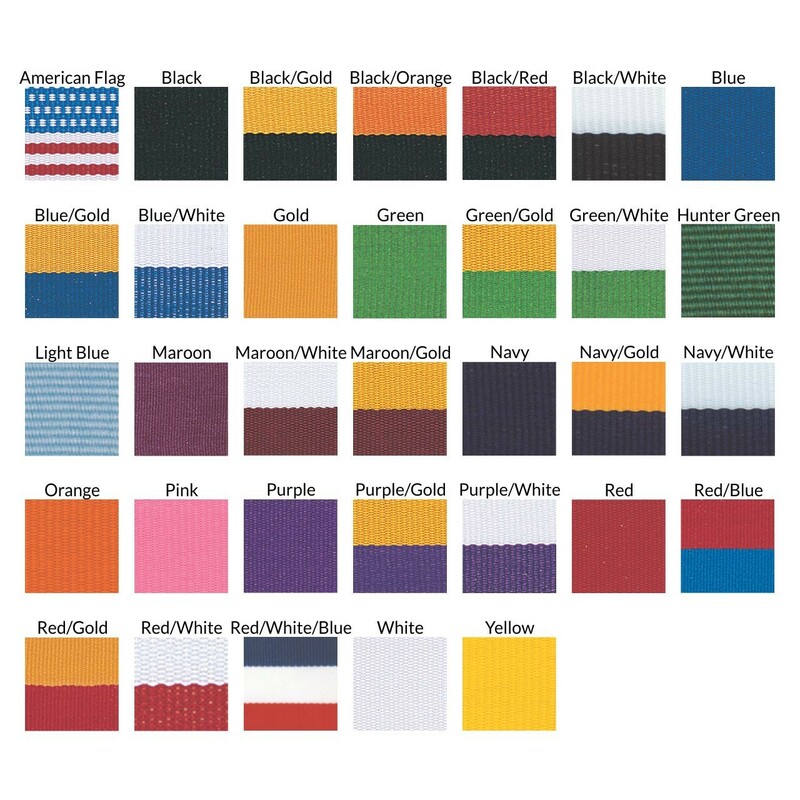 Medal diameter is 2-3/4"; they include your choice of neck drape color and 3 lines of engraving on the back.